GEOG 597G: Challenges in Global Geospatial Analytics, is the first Penn State World Campus online graduate course that includes a travel component embedded into the curriculum. When you think of online education, do you think of study abroad programs? Probably not. 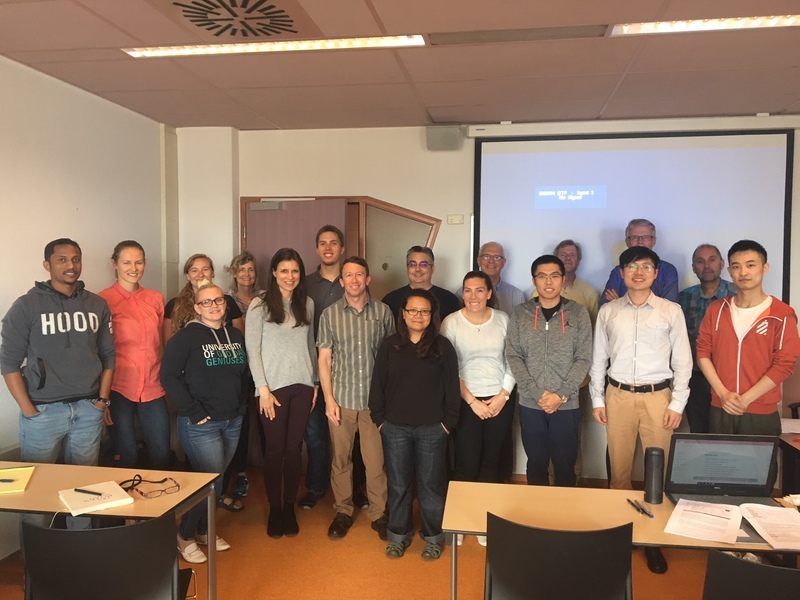 But in summer 2018, for the second time, graduate students in Penn State’s online Master of Geographic Information Systems (MGIS) program offered by Penn State World Campus in collaboration with the Department of Geography studied abroad in Europe. The course, GEOG 597G: Challenges in Global Geospatial Analytics, is the first Penn State World Campus online graduate course that includes a travel component embedded into the curriculum. Faculty members Beth King and Fritz Kessler were the instructors. So how does it work? During the first two weeks of the eight-week course, students collaborate online and perform background research. Then they travel to Europe, where this year’s group spent one week visiting various universities and mapping agencies in Luxembourg, France, Belgium, and the Netherlands, and a second week collaborating with researchers at ITC, part of the University of Twente in the Netherlands. ITC is an internationally recognized research group in the geospatial sciences that focuses on problem-solving research for complex global challenges (https://www.itc.nl/about-itc/#education). The final four weeks of the course take place online, where student collaboration groups finalize project proposals and present them to each other for peer review. This year’s research project involved mapping spatial patterns in refugee data, recognizing that refugee issues are consistently at the forefront of world news and events. GEOG 597G provides an opportunity to create a new model for teaching and performing research in the online learning environment at the graduate level. It will be offered every other year, and with each offering faculty members in the online geospatial education program will continue to refine the curriculum to improve this model. This course is an important feature of what makes Penn State’s online geospatial education program unique and impactful.